Bluecoats member Martha Warfel submitted this photo and caption. 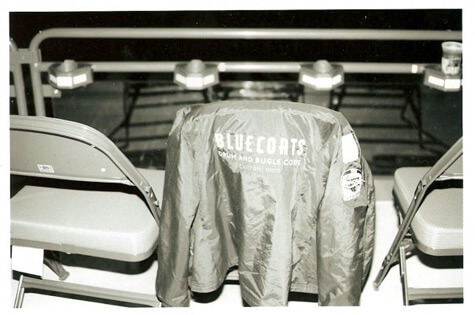 This photograph of my corps jacket was taken with my 35mm camera at Lucas Oil Stadium for the Bands of America Grand National Championships. Like drum corps, photography is another passion of mine, and this event was an amazing opportunity for great shots, and to catch up with my Bluecoats family and other drum corps friends. Whenever I see this photograph, it reminds me of the amazing time I had with my closest friends! Enjoy!